Admittedly, there aren't many movies that spend much time in churches. It's perfectly understandable -- even if a movie character were followed closely for a week, the hour in church out of the week's 168 hours translates into less than a minute of a two hour film. Even then, reasonably, many films about superheroes, cops, young lovers and astronauts never get around to portraying their leads singing worship choruses. There are a few films about clergy and churches, and films about lay people (Hellboy, for instance), which include their church life as part of their story. One of the best of the latter is a film about a country western singer, "Tender Mercies." Robert Duvall won a Best Actor Academy Award for playing Mac Sledge, and Horton Foote received an Oscar for his screenplay. Both awards were richly deserved. As the film begins, Mac is a has been, a drunk, a man without hope, passed out in a small rural motel in Texas. The motel's owner, Rosa Lee (Tess Harper), takes Mac on as handyman and, eventually, her husband and stepfather to her son, Sonny. We see the slow growth of that relationship along with Mac's slow growth in faith in Christ. Rosa takes Mac to church. Tess is in the choir, all the pews are filled and the people seem joyful. After the service, the pastor asks Sonny if he still plans to be baptized. Sonny assures him he does. Rosa mentions she was baptized in that church. The pastor asks Mac where he was baptized. Mac said he hasn't been. The pastor says, "We'll have to work on that." Do you find the pastor saying that as being pushy and obnoxious? I kind of did. And yet the next time we see Mac in that church, he's being baptized along with Sonny. After the service, Sonny asks Mac if they feel different. He says no, but they both seem happy. We see the church for about five minutes of a ninety minute film. But that church has apparently nurtured the faith of Tess. Tess is a woman who lost her husband and parents at a young age. She has raised her son and run a business alone. And she prays daily with petitions, praise and thanks for God's tender mercies. Her faith provides a foundation for Sonny and a beacon for Mac. 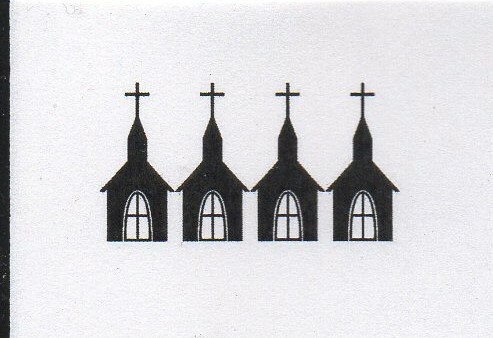 As I said, we don't see much of the church services in the film. They're probably Baptist, since they are in Texas and practice believer's baptism by immersion. The sing traditional hymns like "Jesus Saves." The congregation seems to wear their Sunday best to services. That's not much to go on. 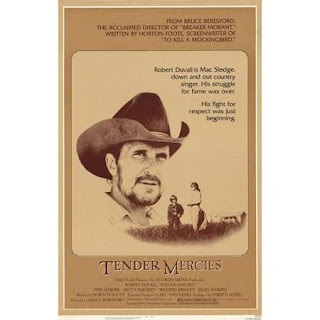 But after watching "Tender Mercies," you'll probably think, "Looking at how Tess lives, I think I'll check out the church she attends."